This is the 2nd part of the activity bout verb to be I´ve sent 2 days ago. Thanks to "class centre" for the wonderful template! 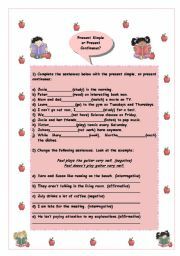 A good worksheet for practicing future with "be going to" and "will". 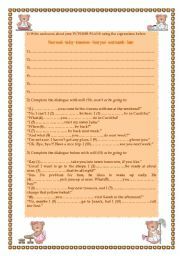 As I don´t have much practice on preparing this kind of worksheet, it took me some time to prepare this one. Hope it´s useful for you. 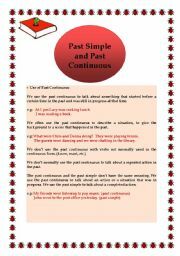 Second part of the worksheet based in a lesson about Present Perfect. Enjoy it, people. Another poster for your children. They can use glitter, small pieces of colored papers and cloth, anything their imagination can produce. Hope they enjoy it !! 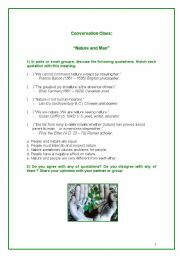 This worksheet is based on a lesson about Nature and problems caused by human being. This activity works as a good ice breaking. Just cut them and select the ones you think are suitable for your students. Use them also to review some vocabulary or verb tenses. I´ve prepared this powerpoint based on a lesson about sleeping conditions and facts. Hope you enjoy it. 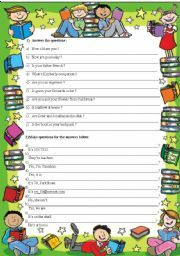 This is a warm up activity related to eating habits that I´ve prepared for my elementary class, so we can discuss about their eating habits before introducing extra vocabulary about food and the use of quantifiers (countable and uncountable words). I hope it´s useful. Another powerpoint based on a lesson about people who have moved to another country. Hope you like it. Good to practice the Conditional, and useful for a conversation class. This power point activity is part of a conversation class based on a small text about how boring a trip can be. The last slide was taken from the movie "Snakes on the Board", and it provided a good discussion about how dangerous or exciting a trip by plane could be.